I’m proud to announce that Toader from DeviantART is the winner of our Free-For-All Design Contest! She sent in this adorable three-eyed girl named Petra. Toader will be receiving her prizes in the mail – including that sweet trophy! 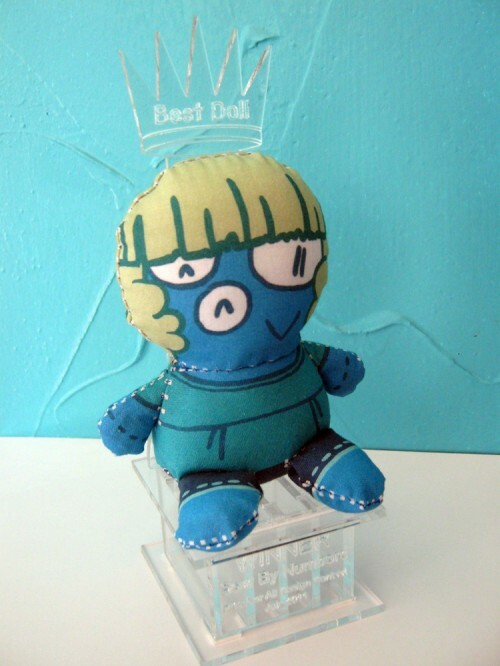 – and her doll’s pattern is marked with a special winners seal. Judging this was extremely hard; I’m amazed at the level of quality in the submissions we got, especially considering that all the entrants were using the Sew by Numbers template for the first time. 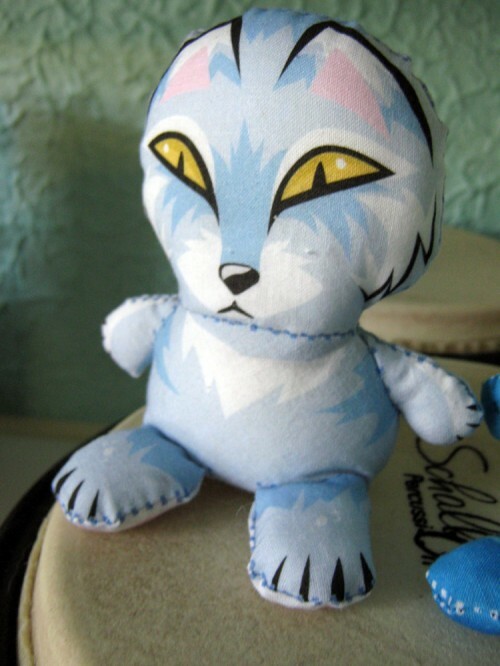 Goiku entered this awesome Snow Wolf, which I’m also sending her in the mail as a thank-you for entering. Many thanks to everyone who entered! 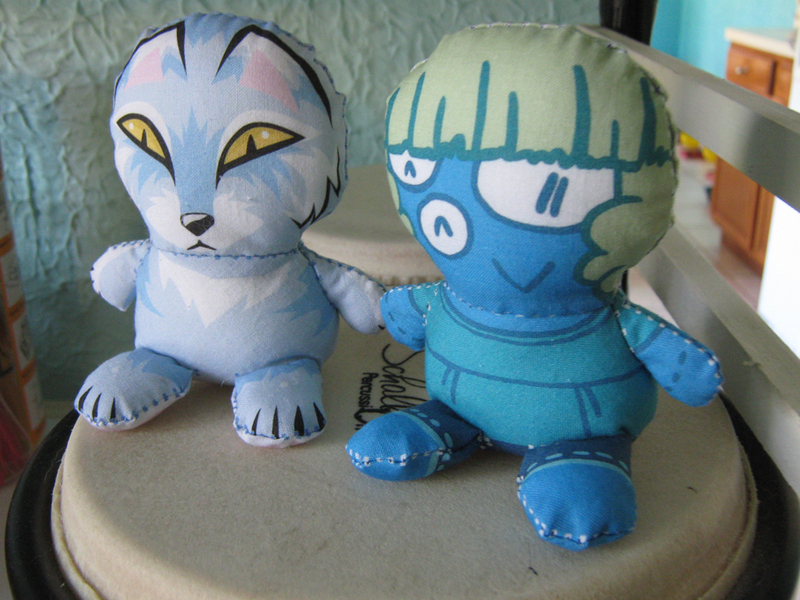 You can download their designs – and many other dolls to make – here. If you’d like to try your hand at designing a doll, the Sew By Numbers templates are always free and open. I’ll happily post any completed dolls here on the site – just send them to sewbynumbers at gmail.